Commitment to create a culture of quality, patient safety, efficiency and accountability towards patient care The Accreditation at the hospitals is not only performed the evidence-based practices but also give Importance to Quality, Affordable, Non-Expensive, Effective Healthcare Services to the people. The Accredited Board is being supported by all stakeholders including industry, consumers, government, have full functional autonomy in its operation. 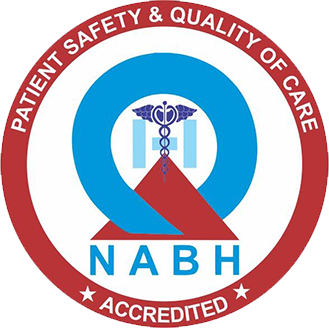 NABH is the public recognization by a national and international board of council and it is established in the year 2006 and it is the main Accreditation should be certified by every hospital in India and also many countries. The first Give Importance to patient safety. It Helps in Getting Quality Improvement plans. It provides staff efficiency according to standard procedure. It provides training according to the Accreditation standard. Patient will get dignity, equality respect at all times. Patients will get treated by quality staff . They will monitor the services for the improvement. They will solve the issues and complaints from the patients. They will solve the queries regarding the patients. Transparency in billing according to the tariff. Food served in canteen, rooms and other places in hospital safe and hygienic. All Equipment regularly maintained and calibrated to ensure accuracy of results. NABH and JCI are the two main Accreditation certification should be done by every hospital and it is a necessary certification for every hospital. Many hospitals will not have proper certifications to run the hospital so that patients will not get proper treatment and the medication charges also will be unfair and they will not be having proper medication facilities and they also have don't follow the medical rules and regulations to ensure that hospitals should be Accredited with the proper guidelines and There we have the genuine treatment all the people there will be equality in the treatment. Health Institutions belonging to public sector undertaking e.g SAIL, NTPC, NALCO, MCL, OMC etc. Hospitals belonging to Central Govt. Depts. like Defense, Railway, and ESI etc. Missionary and Red Cross Hospitals. The private Nursing Homes/ Hospitals registered under Orissa Clinical Establishment Act and renewed up to date are also eligible for accreditation. RSBY accredited private hospitals to be given preference. Patient Healthcare records along with a copy of discharge receipt. Records of referral stating the reasons for the same. Financial records (as per the finance Monitoring Guidelines). It provides the opportunity for the Hospital to benchmark its services with the best and in turn helps promote footfalls along with medical tourism. Accreditation will set your laboratory/organisation apart from your competitors. International Standards are an ideal management system model for laboratories/organizations because it aims to control quality costs, improve measurement accuracy and guarantee consistency of results. Accreditation plays a Important Role Notification and Appointment process. And they provides the infrastructure for verifying the competencies of notified CABs, so that the ministries and other administrative bodies need not establish their own systems for that purpose. In this context, also their need for additional employment or outsourcing technical staff is diminished. Accreditation Places a Important role risk management system by using the credential services to the organization's and making time- and money-saving decisions. Hospital should have the Accreditation Certificate so that the Patients will have the Proper medication With equality and there will the transparency in billing and genuine treatment for the patients not only patients will get the advantage even the hospital staff will get the many advantages and Mediance Consultancy is the best Healthcare NABH Accredition Consulting Firm in delhi Our team have decades of experience as a healthcare consulting firm, including healthcare quality and accreditation and healthcare planning and designing. They are doctors, administrators and Quality Professional, and served in a wide range of positions, to deliver the best results in the healthcare Consulting Industry.our consultancy partners are innovobon consultancy pvt.ltd. (hyderabad),legance solutions (banglore),siam consultancy (dubai) and we are the best consultancy in the hospital planning & design consultant and we have completed many NABH and JCI Projects.